There has been a recent shift in the market from the hard disk drives to the solid state drives. They are a better high-end alternative and very fast in comparison to the hard disk drives, offering excellent performance. The cost of SSD is great though when seen in contrast with its counterparts. SSDs are performance boosters to your system, and you must do all you can to keep them in good health and prevent any malware from infecting them. Certain tools can help keep our SSDs safe and prevent crashing, while also enhancing performance and endurance. It is one of the best tools available to check the SSD on your system. Various parameters are taken into consideration while measuring the performance of your SSD. CrystalDiskMark calculates your primary read and writes speed. It could be either sequential or random and the numbers obtained to provide a benchmark for what is optimal for your system. Speeds are calculated using MB per second and tell you about all the disk operations. CDM comes free and lets you have a benchmark for a variety of different hardware like memory cards hard drives and RAM disks. There is a broad range of sizes available for your CDM to run the check. You are allowed to choose the number of passes you want to accommodate between checks. You are also given the freedom to choose the data in a binary form or if you want you can arbitrarily feed the data. The input may affect the output on hardware compression, and installer and portable versions can be obtained. CDM is available with Microsoft Windows OS only. Another top ranked tool to check the status of your disk, AS SSD Benchmark is good at measuring the speed of your disk. The speed is one of the critical parameters, and you need to take care of what it requires at all times. You can perform Random read and write tests to analyse the performance or even allows you to take subsequent tests if you want. Both tests can be carried out without using the cache. AS SSD Benchmark runs tests to find out times required to access the SSD. The driver's behaviours can also be checked with additional tests. You don’t even have to install the software on your machine to run it. It will run without being installed. The software will tell you the number of SSDs on your machine without asking you to feed the data in manually in for the same. You can select the SSD that you want to test. There are three types of SSD that you can perform. One is to determine the time consumed to read and write a file. If you want to determine the access time, then that is also possible. You can save your SSD software to an external USB to run the software whenever you require it. It will tell you about the complexities on the drive and help you better the performance. It is free of cost and portable as well. It is a free software that is used to check the health of your SSD. It tells you the status on the monitoring, reporting and analysis performance of your SSD. This is a quick tool and can say things like the current temperature and status of your system health – performance and optimisation. The screen will read out a variety of stuff about which data is up to date, and you can quickly work out which things are working in your favour and which aren’t. You can determine if things are going the way you want them to. You can set alerts to notify you when there is something wrong with your system. You can receive audio alerts or eve have them send you a mail. Refreshing data at regular intervals is also possible. You can figure out the performance values quickly by looking at the interface and find the health status and temperature. The interface also shows you the monitoring, reporting and real-time analysis of your system. However, the interface is not the most user-friendly, and you need to be of a technical background to correctly operate this software. CrystalDiskInfo comes in two versions, one that can be installed and another which is portable. This software can be used to determine the longevity of your SSD. It has a great option to create a backup of all your data and save it before it crashes or dies. SSD Life runs tests to give you real-time data and can inform you of the serious problems that may be present on your drive. It comes in an installed version and a portable version. The software gives information about the data written on the drive, and you can find out the read information on the drive easily too. Data is always fetched for the entire lifetime of the drive and helps determine the capacity along with the amount of used and unused data. This gives the performance of the drive alone with how it is running. You will know the extent of wear and tear in the drive, and under similar working conditions, it gives a report of how to gauge the future performance and longevity. SSD Life is compatible with most drives in the market, and you can use it tom make corrective or preventive actions to make your drive even better. This is versatile software built to control the performance of the SSD on your machine and keep a regular tab on it. Using Samsung Magician, you can maintain the information of your system along with your SSD. You will receive information from your user system, and the software allows you certain functions to manage the performance using optimisation. In come cases the optimisation is automatic, and you can also benchmark to get the best performance. If there are any updates, the user will most likely be updated from time to time. Certain add-ons will help you understand your SSD in greater details. SecureErase gives you the power to wipe your data in less than sixty seconds. You can have your software tell you the performance for other devices that may be connected to the system apart from the SSD. Samsung Magician had a great user interface and looked quite good while at the same time being very easy to use. With this software, you can control the settings and check the performance according to the needs. There are settings to manage your power consumption as well, and you can revert to your old settings using the System Restore option. You can even personalise your profile if the standard pattern doesn’t suit your requirements. This is a software toolbox that is very easy to operate and is regularly updated so that you are always on the top of things when it comes to managing your SSDs health. The user has the provision of garbage collection, and there is an automatic trigger that is scheduled at regular intervals. 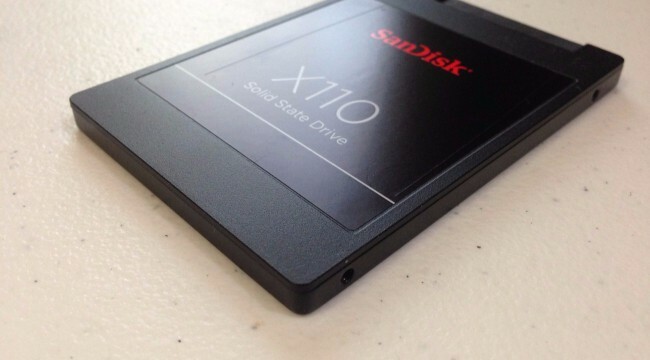 The performance of your SSD can be boosted using the Trim function. Intel Solid-State Drive Toolbox allows you to customise your settings to ones that are set to your preference for the needs that you require. Usually, this includes a greater performance with low power consumption. Sometimes you may also be given the feature to increase the longevity of your SSD, and all these factors are kept in mind while designing the customization settings of your software. This software takes care of your SSD’s performance, time consumption and response time along with how much your SSD has worn out. You can undertake read and write tests to determine the access speeds and speed of different operations. All this can be resolved in no time at all. Used exclusively with Windows, SSD Ready is sued for the optimisation of your SSD drives. It will tell the user about the performance and writes that have been made to the drive along with the usage behaviour. Using these statistics, you can gauge the average lifespan of an SSD. SSD Ready will get you data about the drives while boosting your performance using optimisation. In general, you can use this function to better the quality of health of your SSD that you're currently using. SSD Ready comes in two versions – the paid one and the free one. Using the free version you can find out the performance and longevity of your drives. The paid one has the advanced features of helping you optimise things for enhancement of your SSD. If you want to evaluate something you can choose from any of the partitions and also have the choice to select multiple partitions. It will fetch you the data in real time regarding the number and types of reads and writes to your disk. It will also tabulate the amount of data that is currently on your disk. You can either wait out the complete process for checking the lifespan optimisation other information as well as do so in the middle of a test. Your decisions on how to act on the results are based accordingly. If the time remaining for your SSD to wear out is short, you can look into buying options for next time. Otherwise, you can always back up your data and quit worrying. Another software for Microsoft Windows Operating System, the SSD Tweaker is bundled with features to help you optimise the SSD that you're currently using. It has a user interface that is very easy to use and simple to get along with. You can optimise and get the performance analysis for your drive with just a few clicks. There is an option for System Restore that comes with this software so that in the case of adverse scenarios you can always shift to the previous best settings and revert any data losses. SSD Tweaker comes loaded with features that can help optimise your SSD. You can choose the Hibernation mode for better power consumption and even optimise Trim by changing individual settings. You can check the Auto Tweak function to begin the tweaking with just one click from the user. It saves the headache of manually doing everything and saves you from going into the technical aspect, especially if you don’t like running a lot of commands. You can choose from the paid version, which is for people who want a lot of advanced options and more controls with Trim optimisations. The free version comes with basic features like System Restore and managing the cache files. Tweak SSD comes in two versions – the paid one that ha an abundance of extra features and the basic version which is free. Both are downloadable from the website. Tweak SSD allows you to tweak your system statuses and tweak them in an understandable manner so that you can see the optimisation more clearly. It has a meter to show you clearly what is happening – green indicates the best form, the orange shows normal health and red reflects that your SSD is in a bad state and may require necessary action at the earliest. You will also get advice about which setting would be applied best for performance that you desire and also based on the status of your SSD. The settings are a click away, and you can configure them any way you want. This is a novel easily installed software that has a particular arrangement of all the disks that can be found on your system. You can quickly optimise and analyse performance using the clear cut directly to understand interface. You are given the option to index the searches and drives using the Indexing option, and it also lets you defragment your disabled drives. You can select the self-monitoring feature so that you don’t have to be the software the entire time and it keeps optimising on its own. One of its features is that it avoids unnecessary writing access and any other feature that might make the interface cumbersome.